Founded in 1867, and one of the nation’s oldest performing arts schools for undergraduate and graduate level training in music, dance and theatre, Boston Conservatory’s renovation of the 23,000-square-foot main stage theatre at 31 Hemenway Street, and a 15,000-square-foot addition on an adjacent lot at 27 Hemenway Street, created a centerpiece for the intimate campus. 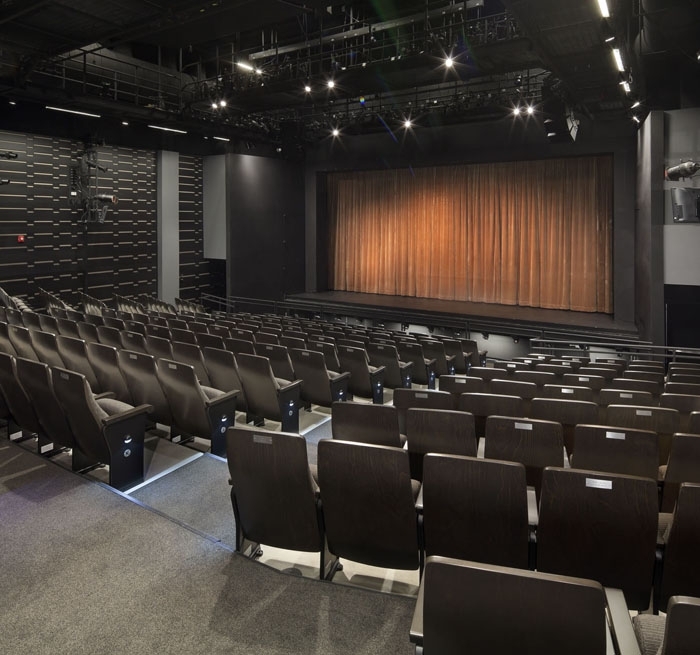 Auerbach Pollock Friedlander provided theatre and audio-video consulting for both spaces, including reconfiguration of the existing 300-seat theatre, creation of a new orchestra pit, modern seating with improved sightlines, full theatrical systems, new front-of-house lighting catwalks, enhanced backstage support facilities, improved ADA accessibility, a new lighting and sound control booth and street-and upper-level lobbies. 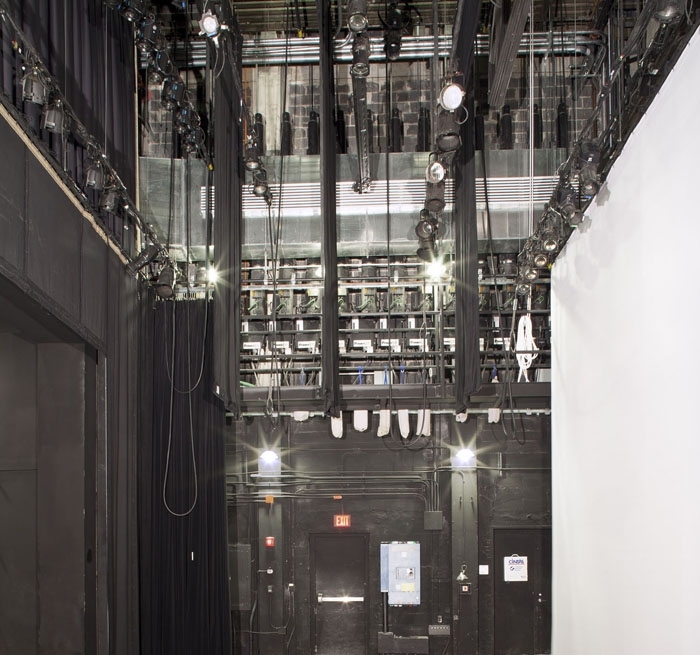 The constraints inherent in renovating an existing theatre led Auerbach Pollock Friedlander to recommend the replacement of the counterweight system, which was beyond its usable life, with variable speed hoists mounted vertically on the stage wall where the counterweight arbors had been. This reduced the cost of installation and provided easy access for inspections and maintenance. Detailed inspections prior to completion ensured that the rigging system would function smoothly for the students. 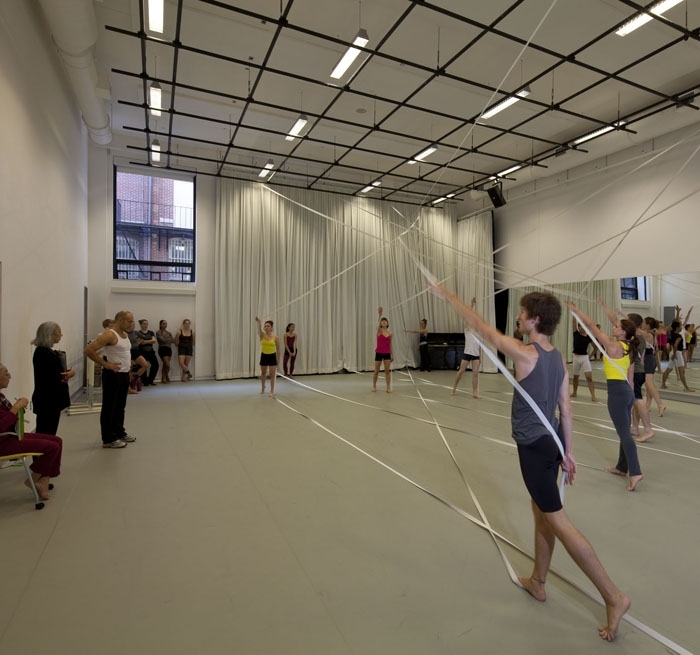 The new 27 Hemenway Street facility houses two large dance studios, a theatre department studio and a music department rehearsal hall/performance space.